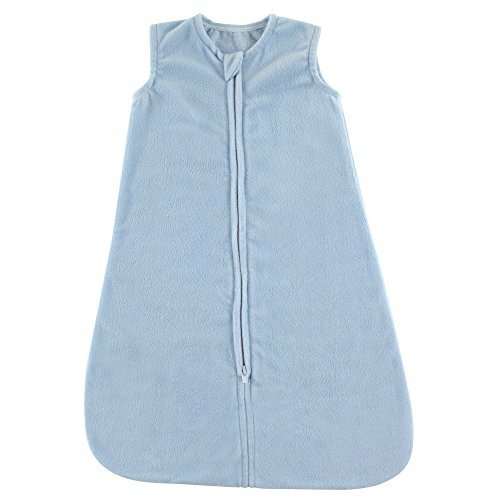 Hudson Baby Safe Sleep Fleece Wearable Sleeping Bag Blanket is perfect for cold nights. Your babe will be snug and safe in this sleeveless wearable blanket. To make diaper changes easier, we've designed this sleeping bag to have an inverted zipper. Made of polyester fleece, this sleeping bag is cozy warm and soft! To keep baby warm, the Hudson Baby fleece wearable sleeping bag blanket is the perfect affordable sleep option. This sleeping bag is also looser at the hips than a velcro swaddle blanket which allows hips and legs to move freely.. Size 0-6 Months fits 10-18 lbs, Size 6-12 Months fits 15-24 lbs, Size 12-18 Months fits 22-28 lbs, Size18-24 Months fits 26-36 lbs. If you have any questions about this product by Hudson Baby, contact us by completing and submitting the form below. If you are looking for a specif part number, please include it with your message.